Aquatic Artists, Inc.℠ considers each client’s unique needs and desires to craft an Aquatic Escape that coordinates with the existing landscape and design to bring hours of endless enjoyment and entertainment. 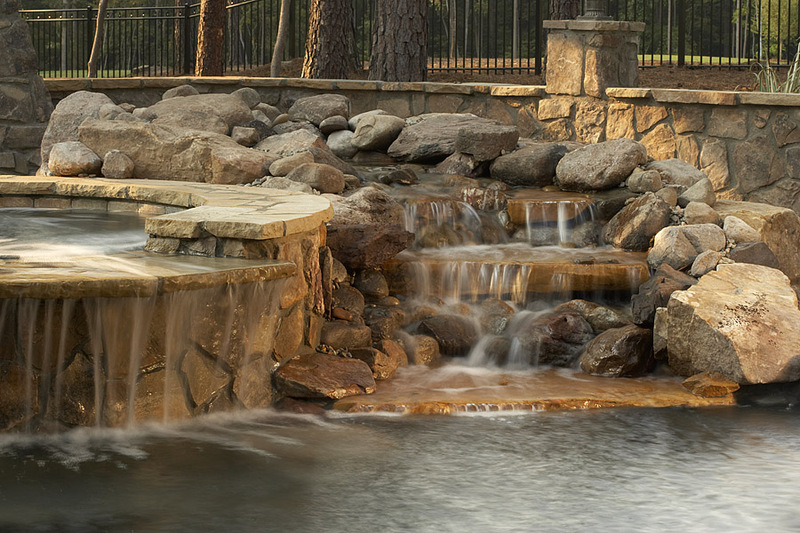 Our one of a kind designs are driven by the homeowners’ needs and Aquatic Artists’ vision. Using the highest quality materials manufactured by skilled craftsmen, Aquatic Artists creates a professional, exquisite look that complements your home as well as endures the test of time. Each project we take on is supervised by a professional construction manager. Your project may include many spectacular features such as a negative edge pool, beach entry, slot overflow, pool/spa combo, or even a floating 360 degree spa. All members of Aquatic Artists take great pride in the unique luxury swimming pools and unsurpassed customer service that is visible with every project. Aquatic Artists’ mission statement calls for all of its employees- from the president to the construction crew- to be honest, high in morals, and demonstrate the utmost integrity. We are value-driven, passionate, and extraordinarily personal with every project that is under taken. As Aquatic Artists grows in the swimming pool industry, we always have and always will continue to maintain the highest level of craftsmanship and skill that enables us to create the vision you’ve always dreamed of. All of our designs speak for themselves. The aim of Aquatic Artists is to make each project as beautiful and functional as possible.